Climate change can affect species both directly and indirectly, by altering their interactions with competitors, natural enemies and mutualists. As well as altering interactions among species that already co-occur in communities today, climate change is leading to large-scale reshuffling of species distributions, giving rise to “novel interactions” among species that did not previously co-occur. However, the impacts of novel interactions remain poorly understood. 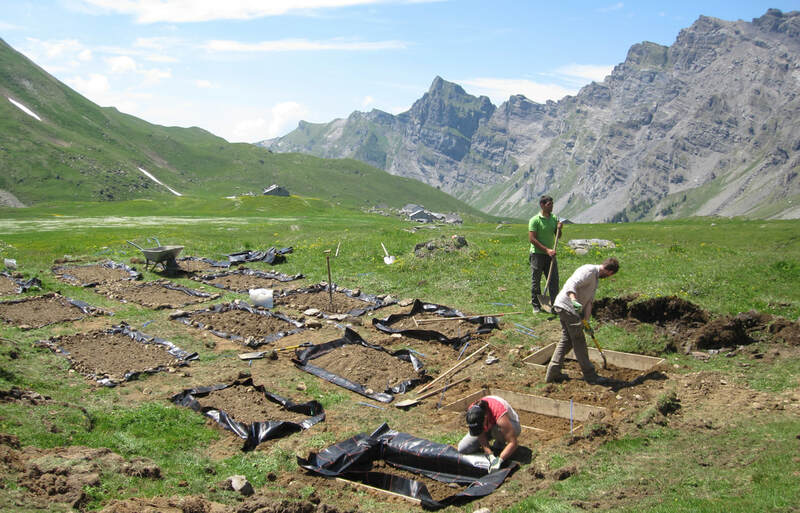 We study the ecological and evolutionary consequences of novel interactions in alpine plant communities. 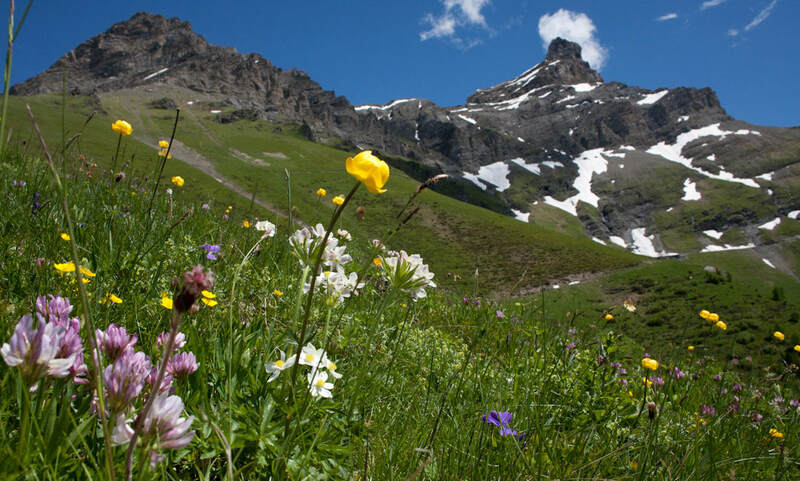 Our research has shown that interactions with novel competitors could drive the responses of alpine plants to climate warming (read more). We have two projects running that aim to improve our ability to predict the outcome of novel interactions, and their impact on plant community structure and function. Competition and Co-Existence in a Warmer World from Jesse A P Alexander on Vimeo. How will novel interactions impact species responses to climate change? 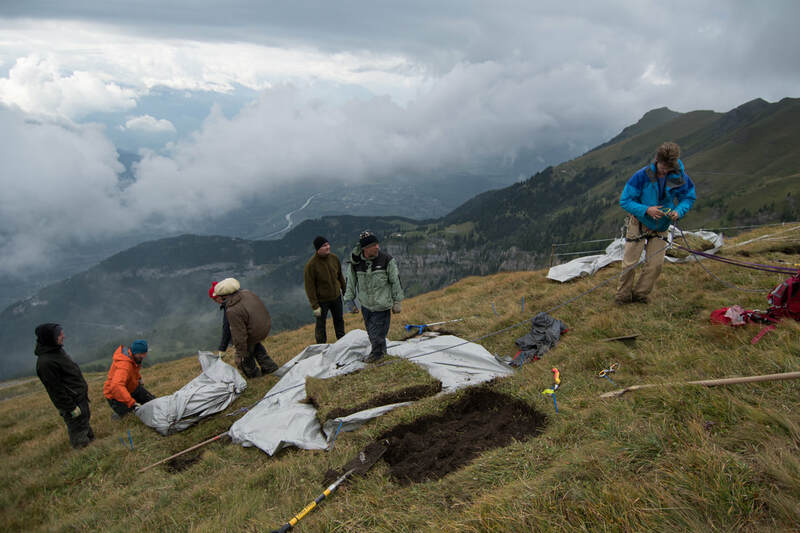 ​We are testing the ecological consequences of novel competitors for population persistence, and the potential for longer-term evolutionary responses, using a whole community transplant experiment that simulates future competitive scenarios faced by focal alpine plants at field sites in the western Swiss Alps. ​Do species traits predict the outcome of novel interactions? ​A mechanistic understanding of competitive effects is essential to predict impacts of novel interactions. We are testing how climate affects the outcome of competition among pairs of species planted along an elevation climate gradient, and whether these effects can be predicted using species’ functional traits. ​What are the implications of novel competitive interactions for species’ ranges dynamics under climate change? ​We will use process-based species distribution models, parameterized with experimental demographic data, to explore the consequences of changing competitive interactions for range dynamics under climate change. How rapidly are novel plant and soil organisms able to establish in communities once dispersal barriers are overcome? What are the consequences of novel plant-soil interactions for the outcome of plant competition and plant community structure? ​What is the potential contribution of novel plant-soil interactions to altered nutrient and carbon cycling under climate change?